In the year 2299, an interstellar war rages. Take control of the Strike Suit – a craft with the ability to transform into a hulking suit of space armor – in a bid to save Earth from destruction. Immerse yourself in massive fleet battles where your dogfighting skills will directly affect the fate of the cosmos. Discover a colorful and vibrant universe, with an epic story spanning 13 unique missions. Engage intelligent enemy fighters and take on colossal capital ships, exploiting weak points in their super-structure to blow them apart piece by piece. Upgrade your Strike Suit and customize your weapon load-outs to tailor combat to your tastes. Take advantage of six craft, including three Strike Suits, to experience dogfighting action as you’ve never seen it before. 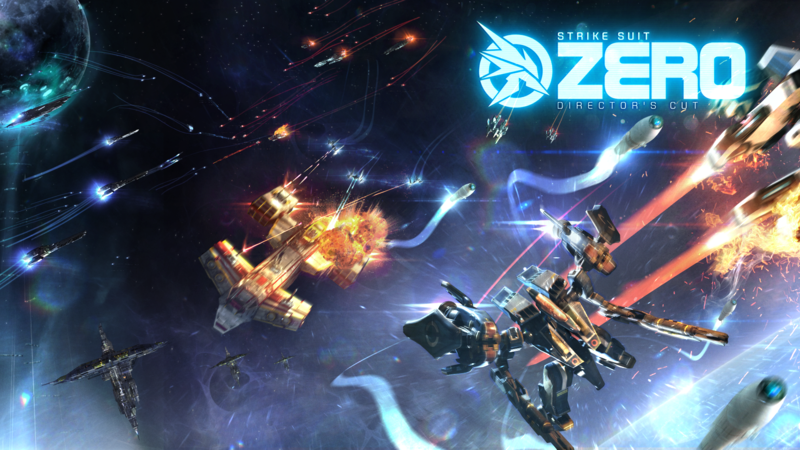 The Director’s Cut version of the game features a next-gen graphical overhaul, restructured campaign and additional content – including the Heroes of the Fleet campaign – making it the definitive Strike Suit Zero experience. This is space combat reborn. Key Features Fast, frantic space combat: freely engage multiple enemies, dogfight other pilots, fight massive fleet battles and defend vast structures. The Strike Suit: strategically switch from Pursuit Mode (speed and power) to Strike Mode (a powerful, highly maneuverable combat mode) Capital Ship Destruction: take capital ships apart piece by piece – take out their turrets or target weak-points to blow out entire sections of their superstructure. Vibrant and vivid universe: space is far from the dark, featureless void you’d expect. Discover the color and vibrancy of the Strike Suit universe across 13 unique locations. Ship Designs from renowned Mechanical Design engineer Junji Okubo (Appleseed: Ex Machina, Steel Battalion.) Music from award-winning sound designer Paul Ruskay (Homeworld) including a collaboration with Japanese singer/songwriter Kokia (Tales of Innocence, Gunslinger Girl: II Teatrino) Director’s Cut features new ship models, improved textures and lighting, a restructured campaign, the Heroes of the Fleet mission pack and the Marauder and Raptor Strike Suits.